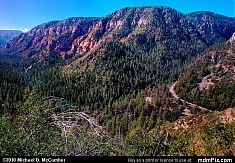 Featured is a gap in the Lindy Point Rock serving almost like a window to look down at the base of the canyon and Blackwater River almost 1800 feet below. 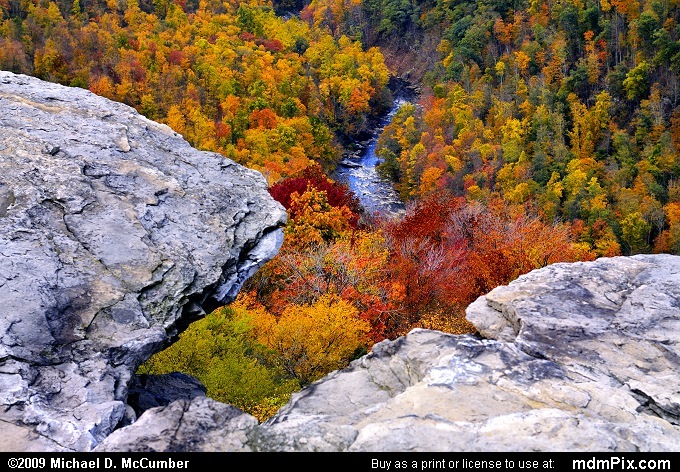 The forest canyon of the Monongahela National Forest is seen sporting fall foliage color in mid October of 2009. While no signs of man are visible from Lindy Point Overlook that is under threat as a land dispute may have condos going up all across the rim of the canyon.